You use all the basic scuba gear including your dive computer, a lionfish spear, lionfish containment systems and other specialty gear. 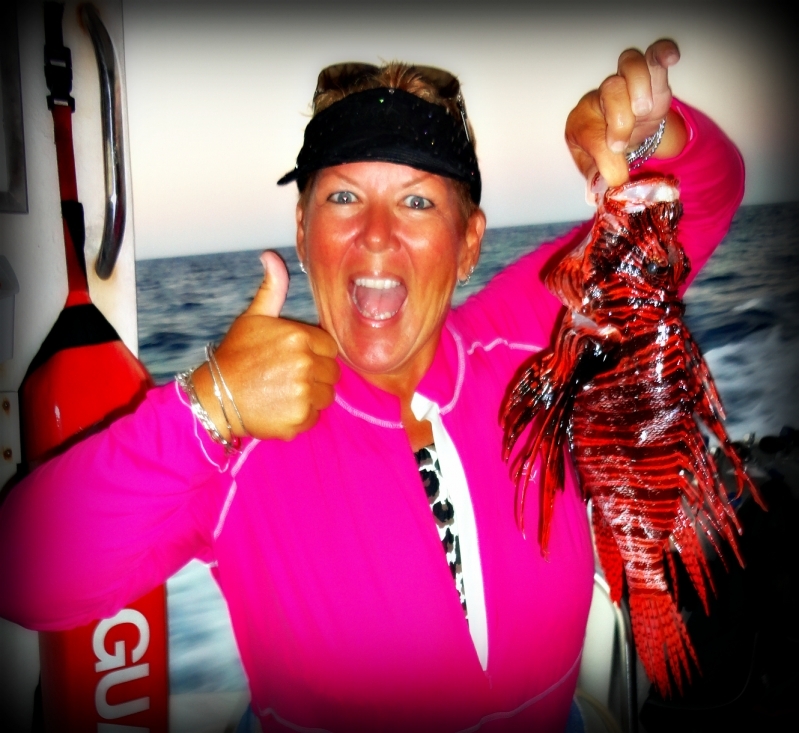 REEF's Lionfish Awareness Guide and the Lionfish Cookbook. *Students must provide their own personal items including mask, fins, snorkel, boots, gloves, dive computer, spear and the Scuba unit. We have rentals available for the Scuba unit, dive computer, wetsuit, tanks and weights. *Boat dives are required for an additional fee. If you book this course On-line you will be contacted by our staff to reserve the appropriate dive trips.